Written by a team of best-selling authors, BIOLOGY: THE UNITY AND DIVERSITY OF LIFE, 14th Edition reveals the biological world in wondrous detail. Packed with eye-catching photos and images, this text shows and tells the fascinating story of life on Earth, and engages readers with hands-on activities that encourage critical thinking. Chapter opening Learning Roadmaps help you focus on the topics that matter most and section-ending 'Take Home Messages' reinforce key concepts. Helpful in-text features include a running glossary, case studies, issue-related essays, linked concepts, self-test questions, data analysis problems, and more. 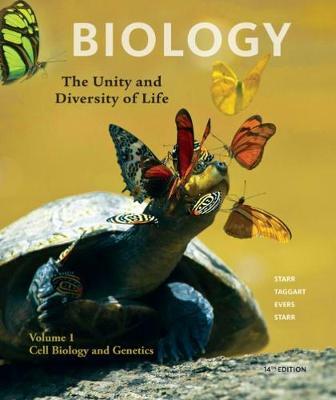 Known for a clear, accessible style, BIOLOGY: THE UNITY AND DIVERSITY OF LIFE, 14th Edition puts the living world of biology under a microscope for readers from all walks of life to analyze, understand, and enjoy!